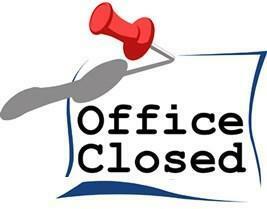 The school office will be closed for the month of July. It will re-open on Wednesday, August 1st. 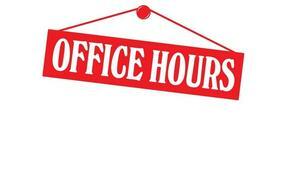 Office hours will resume 8:00am-12:00pm. Our Core Knowledge Showcase is scheduled for Thursday, May 24th. This open-house style event allows students an opportunity to show parents their great learning this year, highlighting our Core Knowledge curriculum. The event also will showcase students’ artwork through our Art Docent program. Drop in when you can during the windows below, based on your student’s schedule. Time to vote for Best of the Best! It’s time for the Placer Herald’s BEST OF THE BEST Readers Choice Awards! The clock is ticking so read below and vote before Thursday, May 31st @ 5:00pm! Vote online at http://www.placerherald.com/phbob. You may also write in your choices using the ballot inside the Placer Herald. Please remember to include the name of the school when voting for best teacher and principal. You must be 18 years or older to vote and only one entry per reader. To validate your ballot and be eligible for the prize drawing, 25 categories must be completed. All entries must include your name, address and telephone number. Click on the link above to see the 2018-2019 school calendar. Please take note of school breaks when planning your vacations. As a friendly reminder please remember to arrive within your schedule’s time window, not early, and to use the preferred traffic patterns. Please pick up your student on our campus. Thank you for your help in keeping students safe and helping us be good members of our business park neighbors! Maryann Spiess and Shari McQueen produced an amazing Winter Concert with our 5th, 6th, 7th, and 8th grade students this week! This show was a fantastic tribute to their talents and expertise as music teachers. The choir songs were not simple pieces, and they were so unique to the season. Their voices were spectacular altogether, and they performed flawlessly. The band performed their songs with precision and grace. Maryann and Shari, we thank you for your commitment and dedication to our music program, and for putting in so much time in giving our students an opportunity to shine! Thank you to all of our amazingly supportive families as well. This show would not have been possible without you! We would also like to thank Mr. Hanson and our custodial staff for their contribution and hard work. Thank you to the student leaders for creating fun themed days and encouraging students to get involved and help out families in need for our Placer County Food Bank food drive. Of course, this event would not have been possible without the support of all our families who donated. This year's annual food drive was a huge success and brought in 205 turkeys and provided 4,464 meals to Placer County families! The Scholastic Book Fair will be happening next week, October 16th-October 20th, and will be located in the Gym. 1st – 6th grade students will be able to preview the fair and purchase books during their PE class. 7th – 8th grade students may purchase books during their lunch break. TK & Kindergarten students may purchase books at dismissal with their parents. Join us after school every day for a special treat with purchase or stop in as a family during the Harvest Festival. We look forward to seeing you there! Rocklin Academy’s Core Knowledge curriculum offers students the opportunity to gain a deep understanding of a variety of social studies and science curriculum topics. Our teachers work diligently each week to incorporate interactive and technology based activities that enhance the learning of Core Knowledge topics and subjects. Over the past month, we challenged teachers to put their Core Knowledge learning into action and were amazed at what we observed our students working on. Our fantastic second grade team invited the Mandarin Dance Team, from Western Sierra Collegiate Academy, to visit our school campus and perform a traditional ceremonial dance. This fascinating assembly brought our student’s learning of Early Civilizations in Asia to life. In fourth grade, students were practicing note taking and comprehension skills by viewing an engaging video clip about Songhai (A Medieval African Kingdom) and then asked to transfer their learning onto a graphic organizer. Third grade students were creating digital media slides to demonstrate their understanding of animals groups and taxonomy. Fifth grade writing and art is proudly hung on walls and windows showcasing student knowledge of Early European Exploration and Meso-American Civilizations. These are only a few examples of the hands on and meaningful learning opportunities happening in every classroom on campus. We are very proud of our teachers hard work in planning and preparing such engaging activities that seamlessly blend structured content learning, with hands on projects. We know that these activities allow students to demonstrate their understanding of content in a variety of ways and foster creativity and highlight their 21st century technology skills. Our students' hard work and dedication to growth and learning can be seen throughout the grade levels and classrooms on a daily basis. At Rocklin Academy, we love our rich Core Knowledge curriculum and the many opportunities it allows our students to have and experience each and every day at school!